1. Preheat oven to 160°C/Gas 3.
any excess. 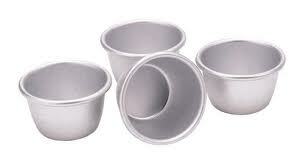 If possible I recommend the kitchen craft moulds (as pictured). 3. 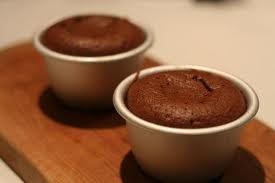 Slowly melt the chocolate and butter in a small bowl set over a pan of hot water, then take off the heat and stir until smooth. Leave to cool for 5 minutes. between the moulds and bake for 9-10 minutes (depending on your oven). serve with a a scoop of vanilla ice cream. 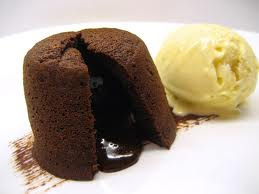 A glass of cold milk is a must have with this fondant as far as I'm concerned. available on Amazon for under €10. See the link below for a look!